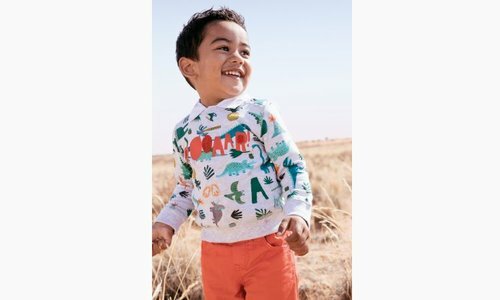 TURQUOISE BLUE STRETCH VELVET TREGGINGS | CATIMINI CANADA - Kidz Global Apparel Ltd.
A graphic jacquard fleece for sporty kids' looks. Elasticated waist inside striped ribbing, with a decorative cord inside metal eyelets, engraved Catimini. Fitted straight cut. Two pockets. Catimini Label. Read more..
A graphic jacquard fleece for sporty kids' looks. Elasticated waist inside striped ribbing, with a decorative cord inside metal eyelets, engraved Catimini. Fitted straight cut. Two pockets. Catimini Label.